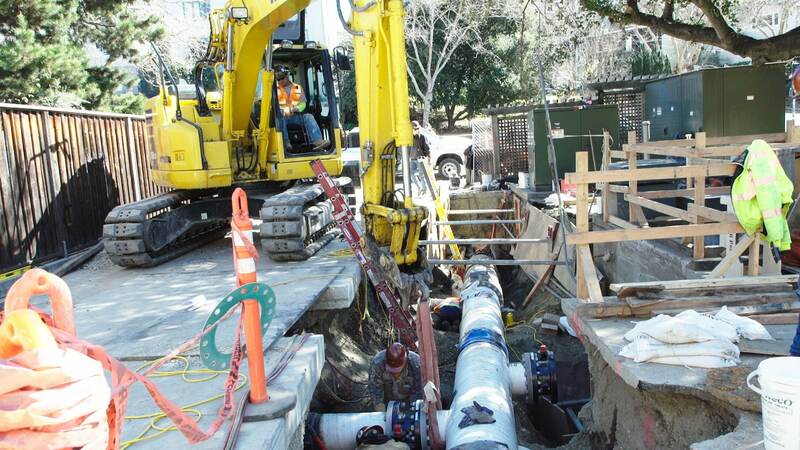 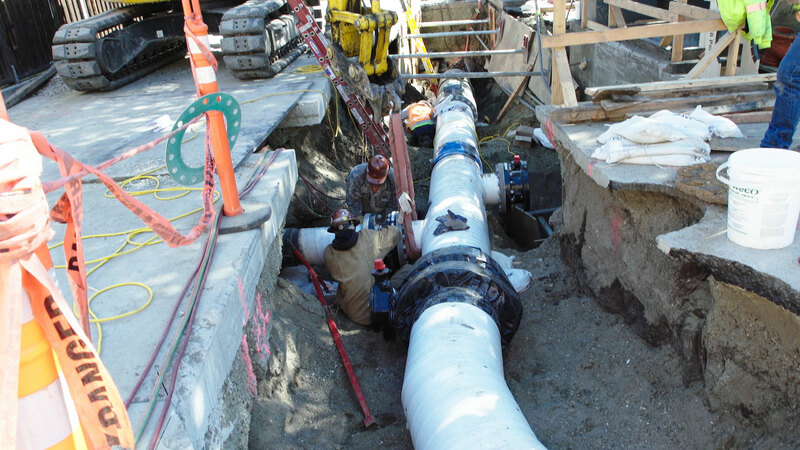 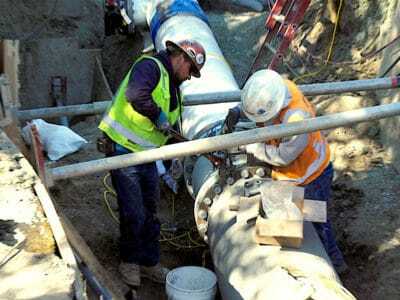 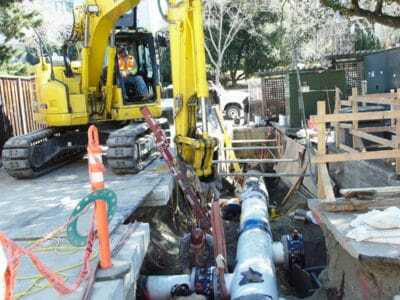 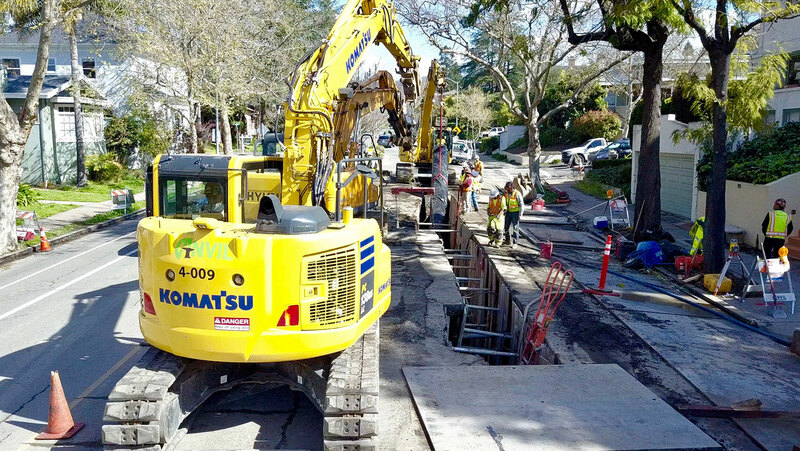 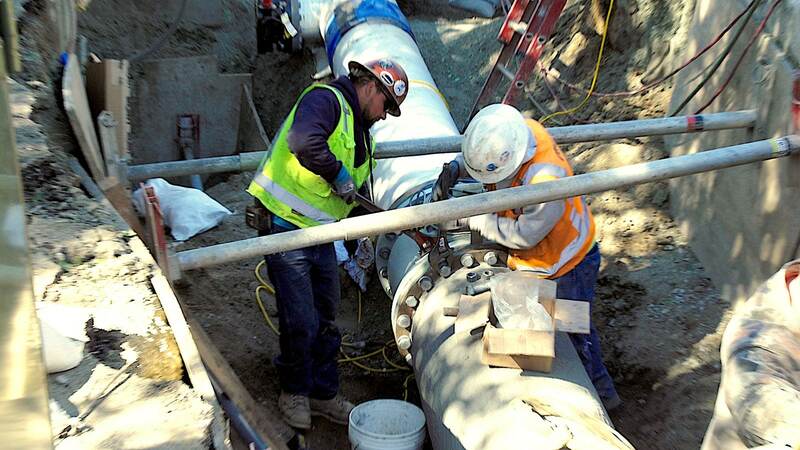 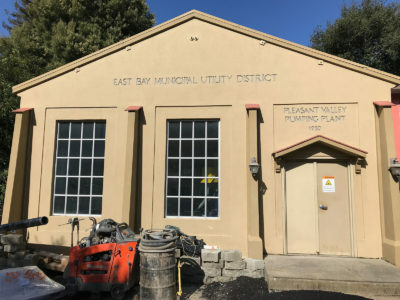 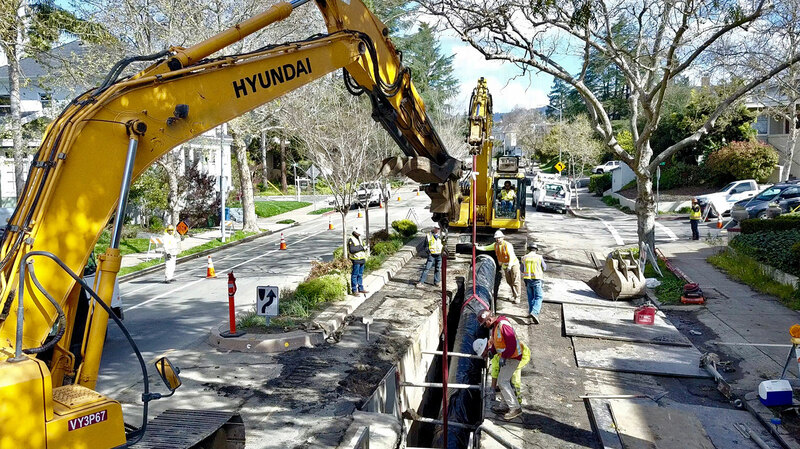 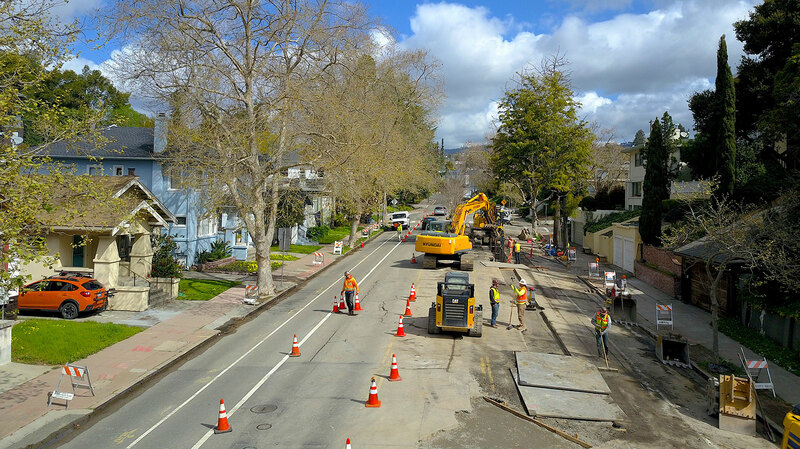 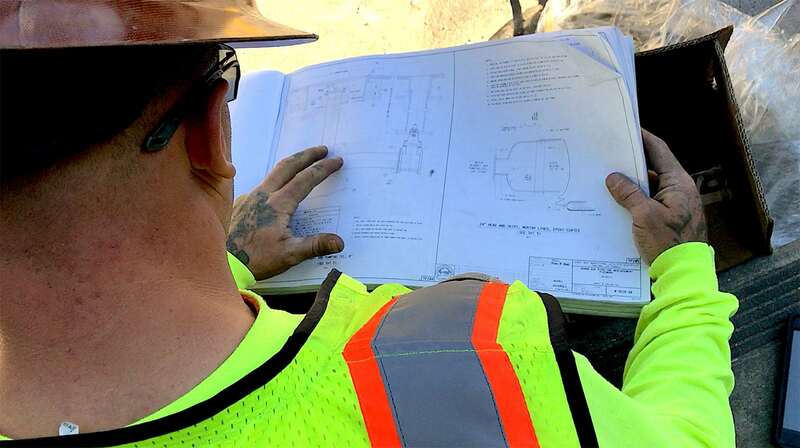 The East Bay Municipal Utility District (East Bay MUD) operates and maintains over 4,200 miles of waterlines, providing service to more than 1.4 million customers. 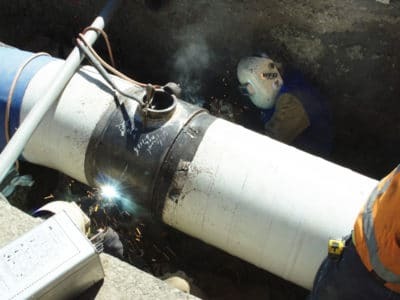 The overall system is aging, making these waterlines more susceptible to cracking, corroding and even bursting. 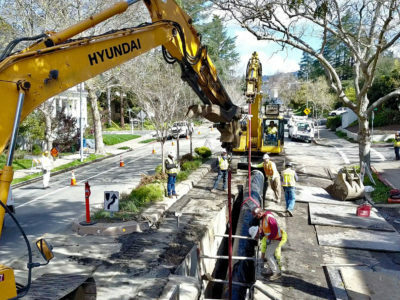 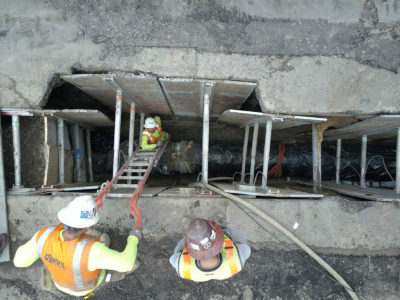 Over the next five years, East Bay MUD intends to replace more than 50 miles of these aging waterlines. 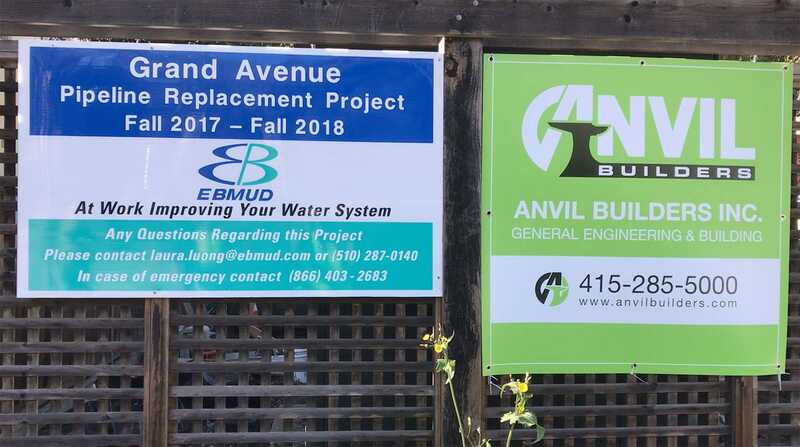 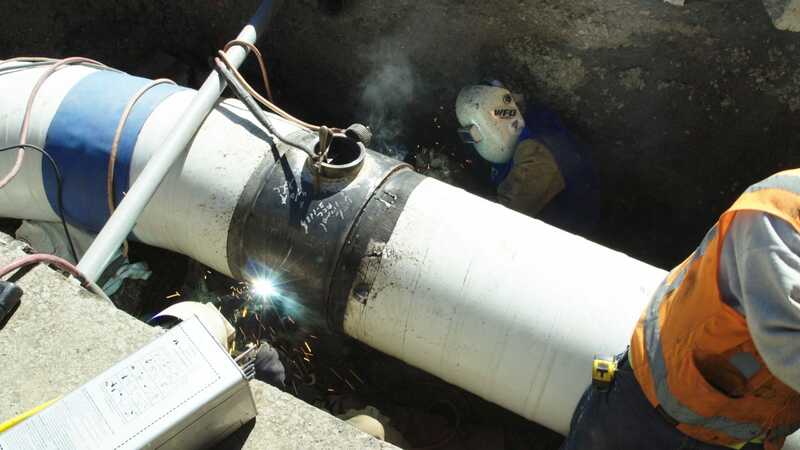 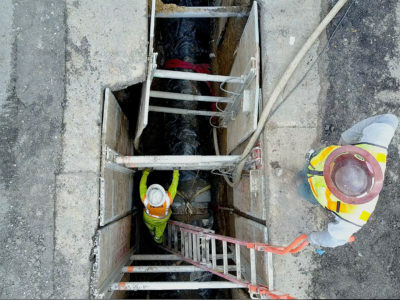 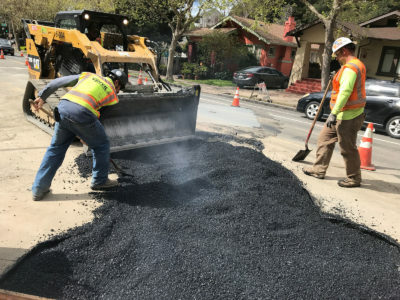 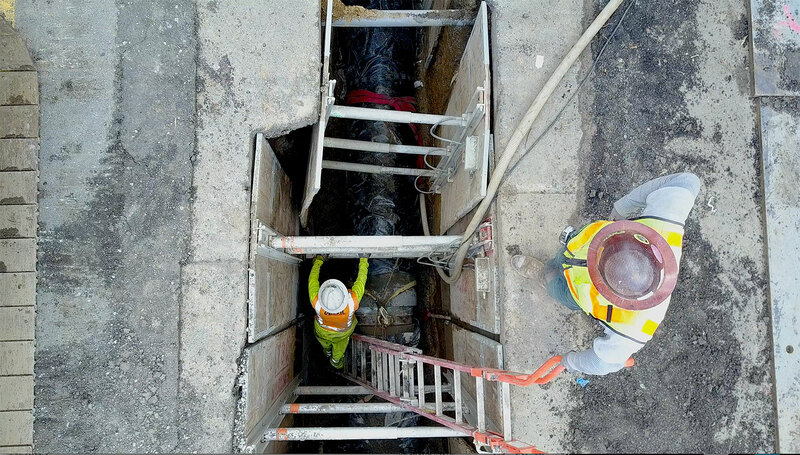 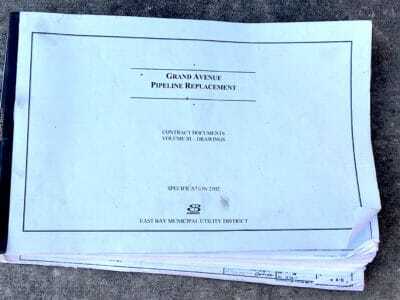 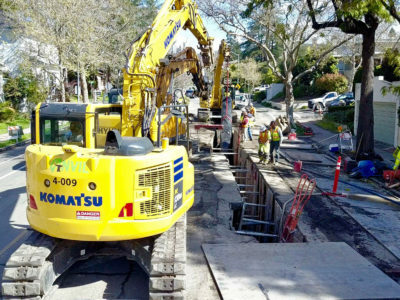 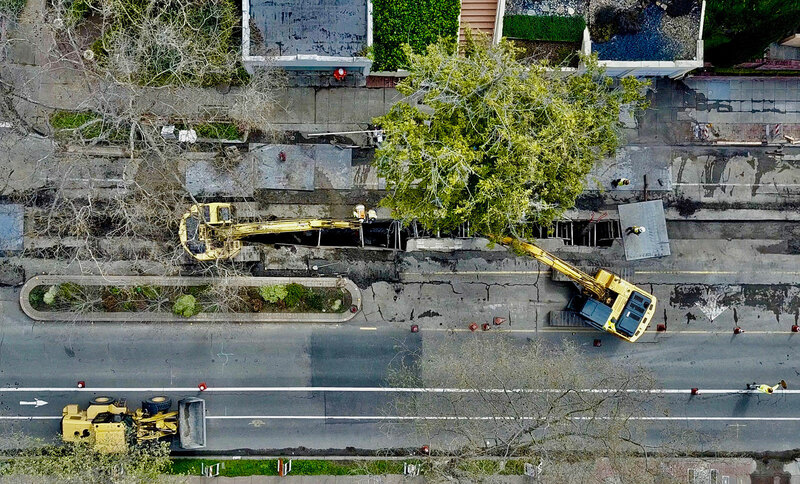 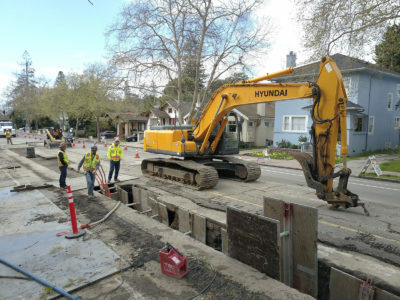 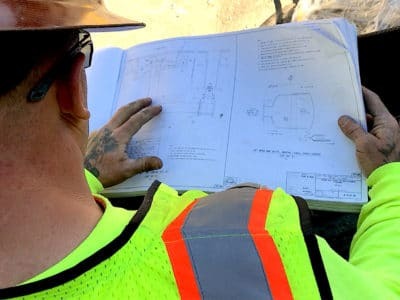 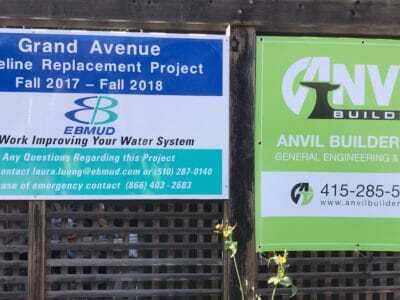 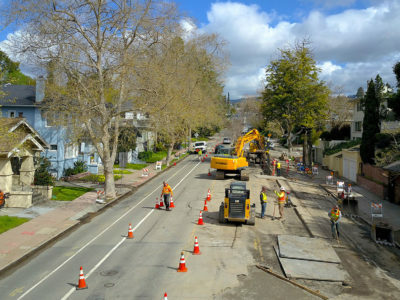 Anvil Builders was contracted to replace waterlines running under Grand Avenue in Oakland—an 88-year-old facility consisting of both low- and high-pressure pipelines. 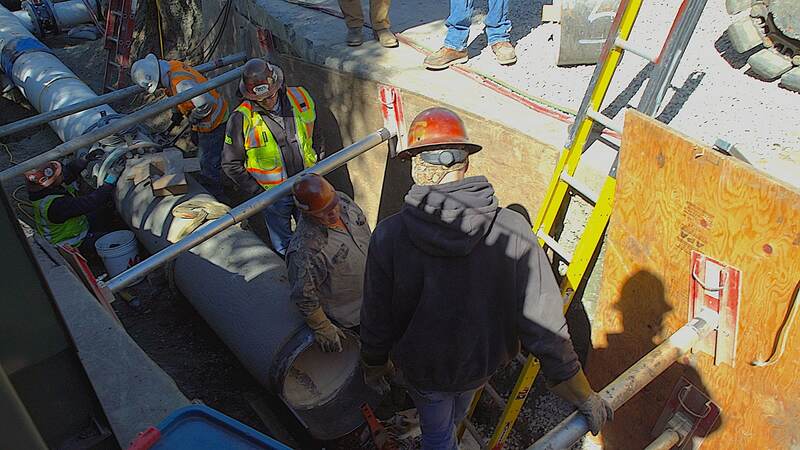 Installation included 1,900 feet of 20” and 24” mortar-lined and plastic-coated steel pipe, and 2,300 feet of 6” and 8” HDPE pipe. 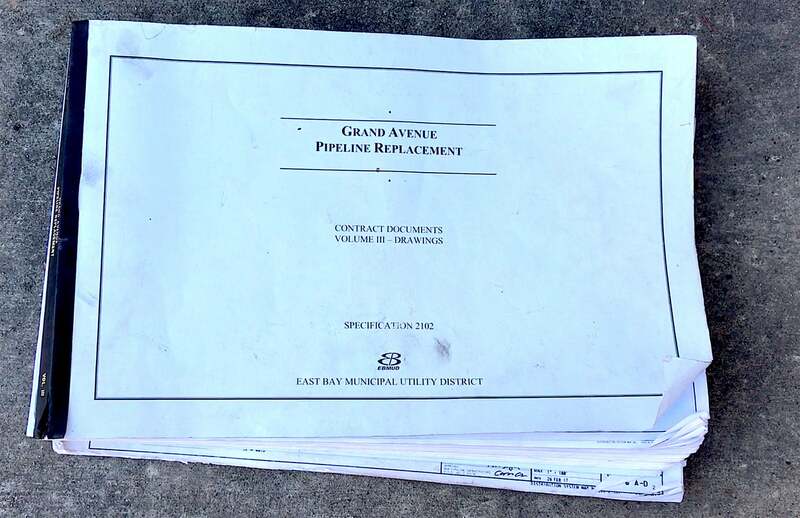 Asphalt and concrete demolition was required to start the project, followed by restoration of Grand Avenue upon completion of the pipeline installation. Maintaining a safe work zone during this project was imperative due to heavy vehicular traffic on Grand Avenue and the large number of pedestrians commuting to and from nearby schools. 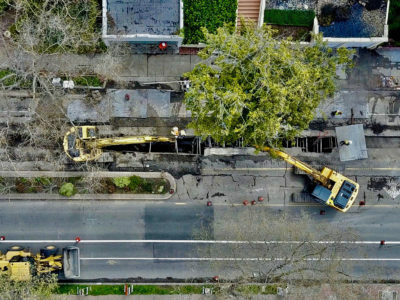 The work was significantly impacted due to restrictions on the permitted hours of operation (6-hour days) and because of unexpected groundwater levels causing trench walls to collapse on a daily basis. 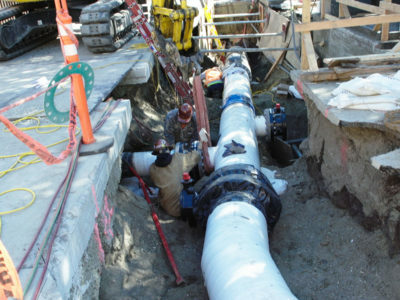 Conflicts with existing utilities, scheduled shutdowns and long-lead time items were complications that had to be overcome during the course of construction.